Here I want to describe how to setup TeamCity on your own server. In my example, I’ll use Digitalocean as a hosting service and Ubuntu 14.04 LTS as an operating system. Please note. These are minimum requirements. For complex workflows you’ll need more powerful machine. Starting from 10s version, TeamCity requires Java 8. If you’re using ubuntu 14.04 for some reason there is a guide how to install Java 8 on ubuntu 14.04. Navigate into the “Downloads” and pull up the latest version of TeamCity (2017.1.2 by the time I’m writing this article). Java executable is found in '/usr/lib/jvm/java-8-oracle'. Wait for a while (let’s give TC time to start up) and then try to load the following page http://<your server>:8111. You should be able to see TeamCity Start page. To keep our TeamCity inside its own “TeamCity” folder, let’s change “Data Directory location on the TeamCity server machine” from “/root/.BuildServer” to “/opt/jetbrains/TeamCity/.BuildServer”. It’s time to move forward to DataBase configuration by clicking on “Proceed” button. I’ll recommend to leave this page opened in the browser and go back to our terminal to set up the database. The more detailed instruction you can find here. Let’s go back to opened page “Database connection setup”. 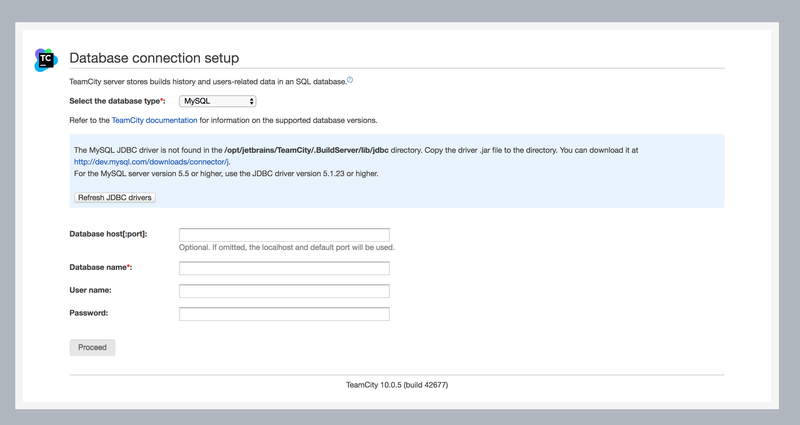 As we can see from there TeamCity says that driver for the database is not found… And TeamCity is right! We need to download it and put into an appropriate folder. Let’s go back to the terminal again. Let’s go back to a web browser and click “Refresh JDBC drivers” button. “Driver not” found message should disappear and “Loaded MySQL JDBC driver version: 5.1” text should be shown. and click on the “Proceed” button. 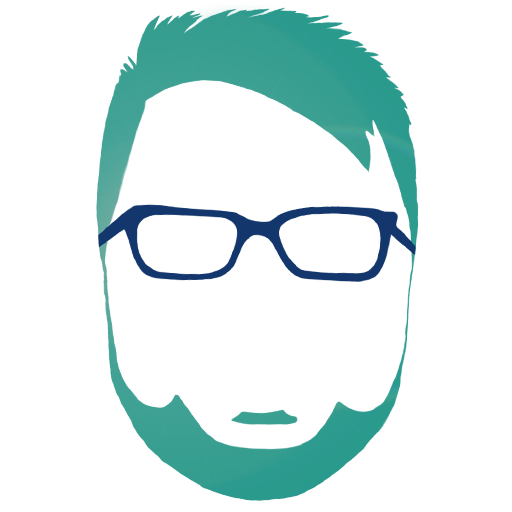 TeamCity should start initialization process and will finish it by showing profile page. Check the checkbox “Accept License Agreement” -> the “Create Administrator Account” page should be opened. Choose you admin’s username, password and create one. Once you’ve done click on “create” button. You should be redirected to the “My Settings & Tools” page, that means that we’ve successfully installed TeamCity on Ubuntu Server. There are some pros and cons of installing a TeamCity. I described major part of it. Do you need it or not, depends on your requirements and problem you’re solving. 2017 - 2019 Sergey Kryvets. All rights reserved.